Are vehicle subscription services the way of the future? The Convertus Team recently attended Digital Dealer 25 in Las Vegas for two days of jam-packed content about all things automotive digital marketing. First up, we attended the session held by long-time Convertus supporter and industry leader, Kevin Frye. Consumer expectations are shifting and Cincinnati’s Jeff Wyler Automotive Group knows exactly what car shoppers are hungry for. In his talk at the Digital Dealer 25 Conference and Expo, Kevin Frye shared insight into the auto group’s future-friendly automotive subscription model. Car shoppers want it all — the family-sized SUV, the two-seat Corvette for weekend escapes, and the hefty truck for summer adventures. They want a driving experience to fit every mood and occasion, rather than sticking to one sensible commuter car. New vehicle purchases come with sacrifice. Car shoppers often give up something they desire to satisfy the need for utility or practicality. Sure, you could buy your dream Corvette, but where would the kids or the groceries fit? You could settle for that family-sized SUV, but then you’d be giving up that weekend escape car of your fantasies. How can car shoppers have it all without making a sacrifice? The Jeff Wyler Automotive family recognized a gap in the industry and took action. 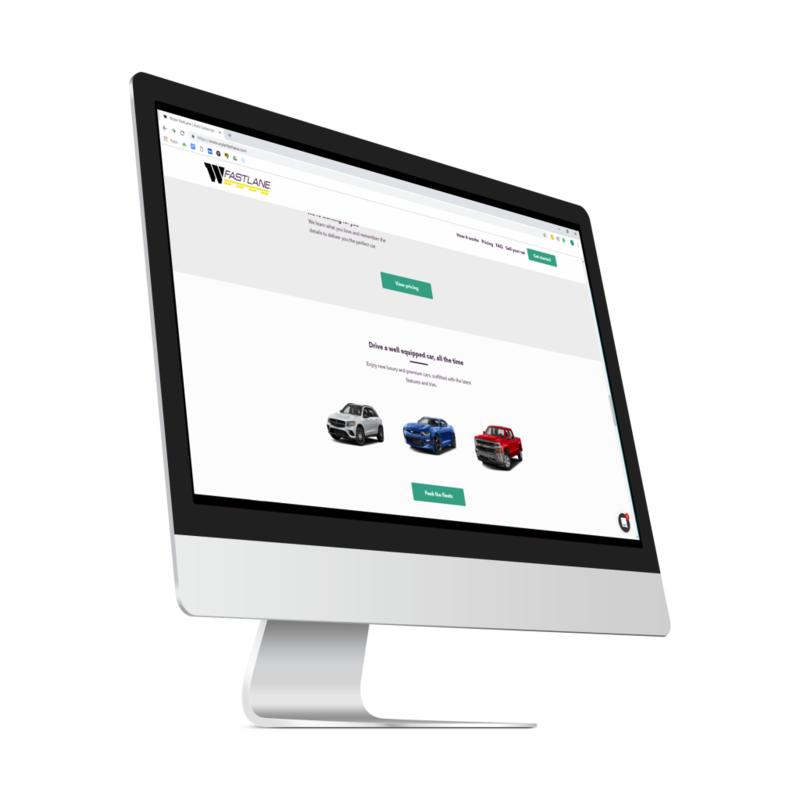 Wyler FastLane was introduced in January 2018 following a growing list of dealerships and OEMs making the shift toward the subscription model. Think Netflix, but for cars. Wyler’s vehicle subscription model eliminates the need to make sacrifices or choose between vehicles, offering a service in which drivers really can have it all. Why a vehicle subscription service? The subscription model has proven highly effective for Wyler FastLane. Why? Because it’s commitment-free, affordable and convenient. There’s a certain allure towards temporary ownership that’s grown stronger in recent years, too. It falls somewhere between permanent ownership and car share programs that offer by-the-hour or by-the-day services. People make less money on average than ever before (adjusted for inflation), while housing expenses and taxes seem to be ever increasing. In Canada, the average price for a new vehicle reached $35,000 in 2017. Considering high insurance costs (insurance falls between $800 and $1700 annually in Canada) and cost of maintenance, there is a case to be made that a subscription transportation model may be relatively economical. Subscribers to Wyler FastLane pay a monthly, no-contract fee which covers all insurance and maintenance costs. Vehicles are accessed through a mobile app and delivered to your doorstep at your scheduled time. Subscribers are also able to swap vehicles as often as they’d like with no extra fees! Customization plays an essential role in creating a seamless driving experience between vehicle swaps. Every car is detailed and re-fueled, while special requests (like Bluetooth audio, extra seats, pre-programmed radio stations etc.) are noted so vehicles arrive perfectly tailored to your preferences. Sounds like a dream, right? On average, Wyler employees see subscribers two to three times per month. Frequent interaction free from any sales tactics builds trust and strengthens relationships. So, when someone leaves the subscription program to purchase a vehicle, where do you think they buy it from? You guessed it: Wyler. Although the subscription model seems like a dream come true, Wyler FastLane is not without challenges. It’s tricky to educate consumers on the total cost of vehicle ownership when comparing a subscription program versus purchase/lease pricing. Further, when all insurance, maintenance, detailing, and staffing costs are considered, as well as building out the initial fleet, it’s a capital-intensive operation to get off the ground. Although it’s still an embryonic concept, vehicle subscription programs are predicted to grow immensely within developed markets. In his session, Kevin cited that, while not everyone will opt for a subscription-based solution for their transportation needs, dealerships looking to position themselves for the future may want to begin viewing themselves as providers of transportation solutions, rather than simply retailers selling vehicles. 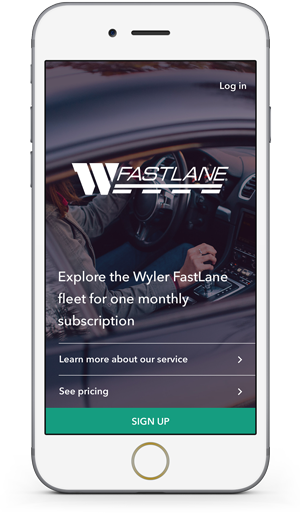 Subscription-based transportation solutions are a model that car shoppers in Cincinnati have an appetite for, and Wyler FastLane is doing it right.